« What the Hell Are You Doing? Jack is a major fan of the great outdoors and loves to hunt; he would watch Wild TV every day if he could. 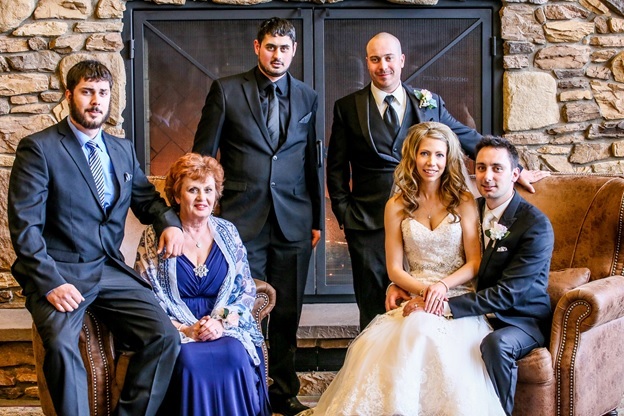 When we tied the knot over Easter Weekend, it was practically winter out there still so we needed to find an indoor space for family photos. I approached the team at Cabelas who gave us the ULTIMATE outdoors-men photography experience. 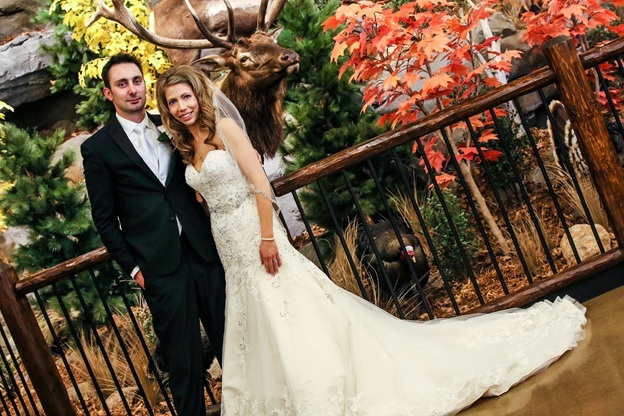 If you’re looking for a venue for wedding photos, make sure to give Cabela’s a call. They have a beautiful fireplace and mantel upon entry and taxidermy throughout the store. The helpful staff were excellent at helping organize prior to the day, redirecting customer traffic during our session, and they gave us fudge to take back to our reception! Brock, one of our Groomsmen, ate an entire box to himself, so I’m sure his new-found belly can vouch for the quality of fudge Cabela’s makes in store. Cabela’s North Edmonton Taxidermy -That elk is my new buddy! This Post was posted in Housewife, Humor and tagged Cabela's, country, culture, housewife, humor, hunting, wedding photography edmonton. Bookmark the permalink.